Get the job done with a Westin HD round work utility LED light. 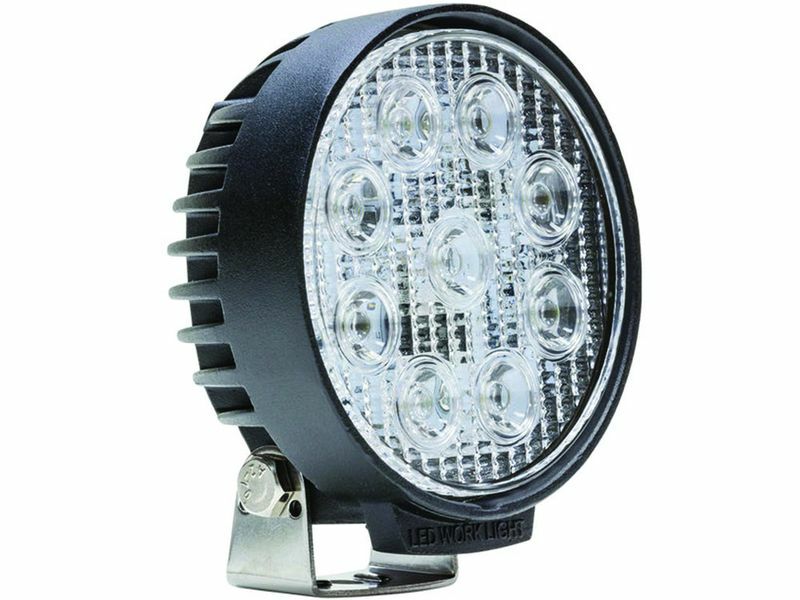 This light features nine 3 watt Epistar LED chips that produce 1,450 raw lumens in a flood beam pattern. Round HD lights are constructed with a 4.7" ABS housing and feature a durable lens that is dust and moisture resistant to keep out the harsh elements. Whether the task is big or small, you can count on a Westin HD round work utility LED light to help you get the job done. This light includes mounting hardware and pigtail connectors so you can mount it anywhere you desire. Focus the beam on your work site with the pivoting base mount bracket. Stay out of the dark with a Westin HD work utility light. Westin Automotive Products warrants LED light bars, LED auxiliary lights, LED work utility lights to be free of original defects in material and workmanship to the original purchaser of the product, with proof of purchase, and is limited to the original vehicle installation. Westin will repair or replace, at its sole discretion, product covered by this warranty. If, at our discretion a product requires repair or return, the customer (end consumer) will be responsible for the cost of shipping to and from the manufacturer as needed. Standard shipping for claims is ground to and from manufacturer. Any expedited shipping fees will be incurred at the discretion of the consumer. This warranty does not cover damage resulting from accident, misuse, neglect, improper installation, fire, vandalism or any form of abuse. This warranty is void if the LED housing is opened or unscrewed, if the protective seal is broken, or if tampering is evident. Westin Automotive reserves the right to make the aforementioned determinations to grant or deny warranty. Westin shall have no liability for any incidental or consequential damages of any kind including property damage, or personal injury resulting from the use or misuse of the product. Excludes LED brackets. Install a Westin round work utility LED light with the included mounting hardware and pigtail connectors.